Jubilee Cottages were old thatched cottages in Preston Road standing directly opposite Watercombe Lane. The name derived from the Jubilee Tree, a lime tree planted in Preston Road opposite the terrace of cottages, to commemorate the golden jubilee of Queen Victoria in 1887. Its trunk was protected by a circular iron fence. 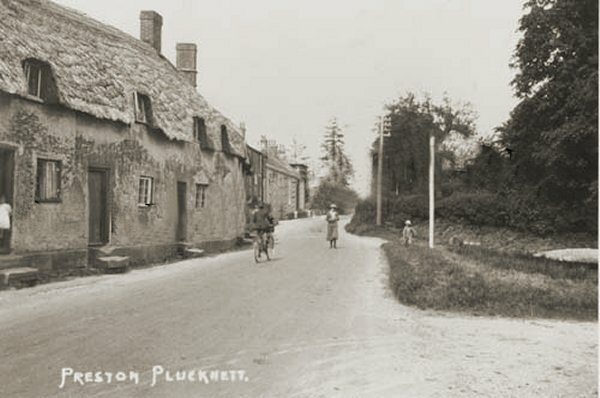 In the 1920s the cottages were home to the Pollard, Hallett, Higdon, Montacute, Barton and Beare families. At the end of Jubilee Cottages was the entrance to Bowerman's slaughterhouse and more open fields. 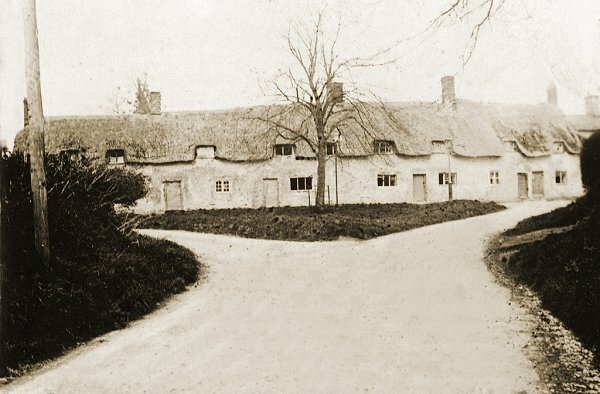 The cottages were demolished in 1938. 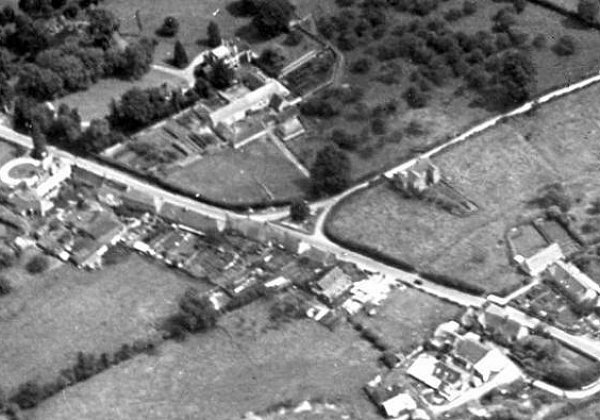 An aerial photograph of 1927 showing the Jubilee Tree at centre, at the junction of Preston Road (running across the photo) and Watercombe Lane (running to the top right corner). Jubilee Cottages are directly opposite the Jubilee Tree. Jubilee Cottages seen from Watercombe Lane. 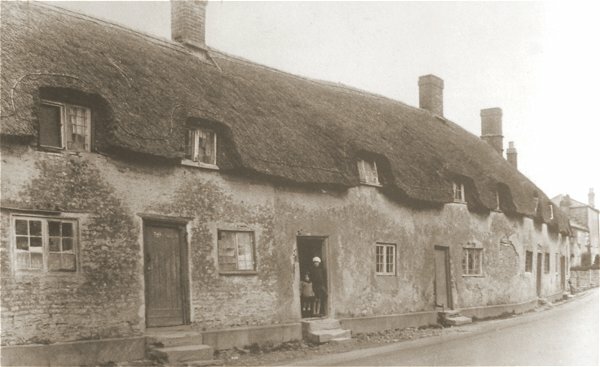 This photograph features in my book "A-Z of Yeovil"
Jubilee Cottages, opposite the Jubilee Tree junction. From a postcard of the early 1930s. Jubilee Cottages, Preston Road. Photographed in 1931.